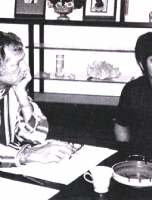 A rare insight into the martial arts that became Bruce Lee's Jeet Kune Do. 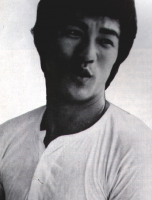 The public generally only know that Bruce Lee was a student of Yip Man of Wing Chun Kung Fu and Mr Siu Hon-san, yet they do not know that he had other masters. He learnt Tai-chi-kune from his father, Hung-kune from a master with a surname Tam, Choy-li-fat-kune from an elder and Judo from Taiheie. He also got to know the principles of internal pugilism from Mr Liang Tzu-peng. He practised western boxing with his sports teacher. Secretly, he cultivated Lo-han-heart-mind-kune. With the help of books, he tried earnestly the fundamental Chinese northern Kung Fu. 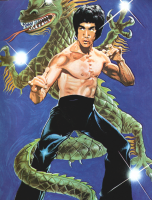 He followed Dan Inosanto and learnt his Nunchaku and Kali of the Philippines. He also assimilated the kicking techniques of Tae-kwan-do from Mr Jhoon Rhee, the father of US Tae-kwan-do. In other words, he had assimilated the quintessence of various kinds of important martial arts. 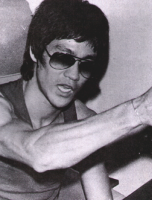 Thus, it is no wonder that Jeet-Kune-do is so powerful and incomparable.